Whether you or your child play football or any other sport that carries a risk of injury, having a custom made mouthguard that fits correctly is the best way to protect your teeth and mouth. 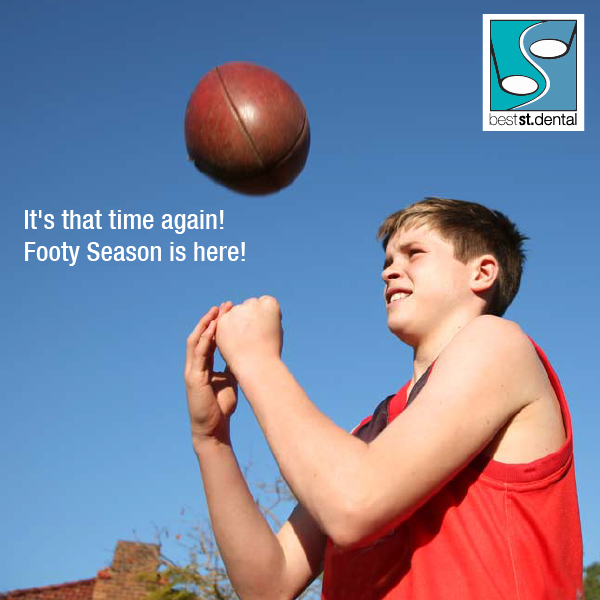 Over a third of all dental injuries are sports related, and largely preventable if wearing a mouthguard. Mouthguards don’t only protect your teeth put can also help to prevent concussion or tongue, lip and cheek injuries and can also help to protect your jaws from fracture or joint damage. Mouthguards are reasonably priced at $180 (especially considering the damage they prevent!) and a rebate towards this is usually available from your health fund. They are available in a range of colours and can have your name printed into the plastic. Mouthguards are usually ready within a week or so after your appointment of having the impressions taken. Children’s mouths and jaws grow and change quickly, so it is important that a new mouthguard is made for them at the beginning of each sports season. Don’t put yourself or your family at risk of injury, call us today, 6921 5799, to make an appointment for a custom made professionally fitted mouthguard!